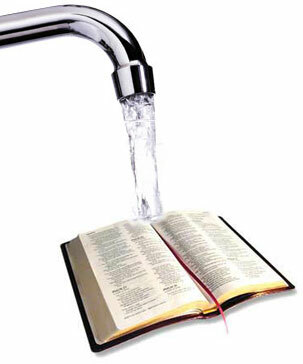 I received some great comments to my recent post ‘Watering Down The Word?‘ and figured a follow-up post was warranted (might be helpful). Those familiar with my ministry know that I don’t have it in me to preach anything less than the Bible (2 Timothy 4:2). I don’t have it in me to preach anything less than Jesus Christ, and Him crucified (1 Corinthians 2:2). I’m also mindful of how my choice of words (vocabulary) hugely affects how my message is heard. I’m convinced that a communicator’s manner of delivery has the ability to attract or repel the hearer. Yes, God is sovereign. I rely on this! I will not, however, use God’s sovereignty as an excuse to preach without any thought of form and manner of delivery. I see value in being attentive to the mindset of those I’m speaking to. I see value in anticipating their objections and questions. I see value in in speaking sensitively and sensibly to them. Having done that, I leave it to God to soften hearts and to seal the message that Jesus is LORD. I commend to the readers of this blog the following video from Desiring God Ministries. Thank-you Cliff Cline for locating this for me. Our new ministry, The Well, may not use a traditional pulpit, but John Piper’s message, ‘Don’t Waste Your Pulpit’ still applies. Keep those comments coming! I came across this gem of a message while surfing on youtube.com. This audio is provided by desiringgod.org, delivered by Alistair Begg in 1998 at the Desiring God Conference for Pastors. Quite frankly, Begg is my favourite preacher. If I aspire to preach like any man, it is him. I have attended the annual pastors’ conference held at Parkside Church, where Begg pastors, every year since 2002. I have registered for this year’s conference (May12-14). Have a listen–I’d like to hear what you think (although you might want to get a bowl of popcorn or something to help you settle in, the message is an hour+ long! ).